Here’s what’s happening at TEMV from now through Rosh Hashana! We also have a number of volunteer opportunities open. We hope to see you soon! Please join Rabbi Robin Sparr and Rabbi Lewis “Buz” Bogage for a musical, meaningful service as we welcome in the New Year with our new machzor (High Holy Day prayerbook). Celebrate Rosh Hashana at TEMV with an engaging morning service and torah reading. Please note that Rabbi Sparr’s sermon will include a guided tour through our new machzor, and will therefore be offered very early in the service! Simultaneous children’s services led by Rahel as well as babysitting for younger children will be available in the school wing. Please join us on the banks of the Merrimack River as we cast away our errors, disappointments, and shortcomings and look forward to a year of growth and renewal. Contact Karen Lipshires. If it is raining we’ll cancel. 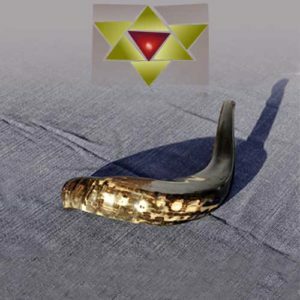 Celebrate the 2nd day of Rosh Hashanah at our joyous sunrise service with the sound of singing, and the Shofar. Join us for a lovely potluck breakfast and a short service followed by a walk on the beach, wading, or swimming. Please bring a special poem or reading to share and if you have a Shofar please bring it. Volunteers for Rosh Hashana helpers and food contributions contact Frank Baskin with your contributions or to volunteer. Thank you! We could use a few more contributions to the Rosh Hashana kiddush. They include: coffee or honey cakes, bags of apples, and challah (preferably round). TEMV is continuing its long standing tradition of collecting food for the Lowell Mobile Food Pantry. Please take one of the bags in lobby on Rosh Hashana and fill it with non persishable food for people or their pets and return the filled bag to the temple on Yom Kippur. New Education Committee Members Wanted! I bet you thought that you needed to have kids in our religious school in order to help on the Education Committee? Well, think again! In fact, we really need members who aren’t parents too in order to help make our small, vibrant school more fully integrated into the life of our temple community! Let’s brainstorm creative ideas together and ways for our school to grow and become better than ever. We already have many fun and exciting activities planned for the year and you can be a part of the action and experience the glow that comes from working with children or maybe just behind the scenes! We are a friendly crew, small in number, and we can definitely add food to our monthly meetings as an extra incentive. Please contact us (specify “Religious School” under “Subject”) to inquire further! We are looking forward to hearing from you!